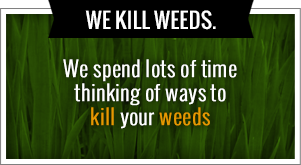 It’s is the perfect time to check out the top Tulsa weed control company in all of Oklahoma. Greenleaf Lawn was started by two great friends named Jamie Nix and Josh Mathias. Both of these men have grown up in Tulsa and understand that people want an honest, transparent company that will do what they promise so they won’t have to worry about them. That is precisely what we set out to accomplish when we started Greenleaf Lawn. We wanted to use our skills to provide the best, most reliable lawn company in the area and that is what we have done. Give us a call anytime at 918-640-6405. We strive to do more than anybody else in terms of spring and fall services. Our seasonal services include leaf cleanups from lawns and landscape beds, seasonal flowers and mulch, trimming back perennial plants, scalping Zoysia and Bermuda lawns, your aerating and over seeding and our amazing holiday the lighting service. We can also help you in the winter with your snow and ice removal. We are available 24 hours a day, seven days a week. We can work on both residential and commercial property and also provide plow trucks. Greenleaf has heard such great feedback about our holiday lighting from all of our customers. We didn’t realize how much people hated putting up their lights everything will year until we put them out for them and they were able to complain because they truly didn’t have to do it themselves. It was just such a blessing for most people not to have to get up on a rickety ladder or climb on the roof to put up lights that potentially would not light. Greenleaf will store them, install them and then when it’s time to take them down we will remove them and put them back in storage. You can call for a free estimate today or anytime you want. Greenleaf owners Jamie and Josh grew up in the Tulsa area so they definitely have a heart for the families, children and especially schools around. Right from the start they had decided to create a fund called “Cut for the Kids”. They hope to raise one hundred thousand dollars for local schools to help them be able to help educate their students better. Greenleaf will donate a portion of all of the new business revenue made from new services to the school system of your choice. This is one of the many reasons why people choose Greenleaf Lawn over all of the other Tulsa weed control companies. We are not only the number one Tulsa weed control company we offer so many other services as well. We also offer weed control, fertilization, weekly lawn maintenance, flower bed maintenance, hedge trimming and shaping, sod installation, small tree removal and planting, small shrub removal and planting, spring cleanups and scalping and much more. Entrust us to your lawn and we can have your lawn make a total transformation with any one of these services we offer. If your lawn needs a little more work we can most definitely do multiple services for you. One of the best parts is that working with us will not burn a hole in your wallet. Greenleaf Lawn Care started back in the day with owners and great friends Jamie Nix and Josh Mathias. Both of them were from the Tulsa area so they wanted to do something with their lives where they could use their talents and help others. They knew if they listened to their customers and over delivered each time that they would become the number one choice for Tulsa weed control for residents and also companies such as Mathis Brothers, Outback Steakhouse and so many more. 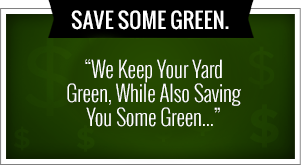 Get a totally free estimate today by calling 918-640-6405. There are several things our customers really enjoy especially our seasonal services. We can do everything from aerating, scalping, gutter cleaning, leaf cleanup of your landscaping beds. We know that you won’t mind us taking over these tedious duties because we don’t remember the last time a homeowner was excited to go pull nasty stuff out of their gutters. We also offer 24 hours a day, seven days a week, snow and ice removal services for you. We do this for all residential areas and also commercial companies. Don’t try and push your car through your driveway that is full of snow because you most likely have to call a tow truck. Take out your phone now and add us on your speed dial and give us a call when you need us. Greenleaf also has amazed customers with our holiday lighting service. We handle everything from the design, install and even the removal and storage of your lights. Most of the time you have to keep them in your attic where it gets over 100° many times while they are waiting to be put up in the winter. We suggest keeping them safe and let us handle everything for you. We do both commercial and residential holiday lighting solutions. You can also give us a call at any time for a free estimate or your project. From the beginning Jamie and Josh didn’t want to be just another Tulsa weed control service in the area. They want their legacy to live on and on as they grow their company the right way. One way they are doing this is creating a fund called “Cuts for the Kids”. This fund is to help the local schools in the Tulsa area being able to purchase items that they may not have been able to afford before. With each new customer service Greenleaf will donate five dollars to your school district that you choose. With this you are able to give back to the community by just using a service that you would’ve used anyway. Greenleaf has so many more services than the average lawn care company. To create your deep, rich, beautiful lawn we do many different things such as spring cleanups and scalping, sod installation, flower bed maintenance, Tulsa weed control and so many more things that will help make your lawn looked amazing. The most common service that we offer is our weekly lawn maintenance. This is the best way to keep your neighbors jealous of how amazing your lawn looks and it will continue to look amazing all year. There are many different types of weeds native to Tulsa that can really take a toll on your lawn and we know exactly how to eliminate them.